The team consists of 5 groups: Chassis, Powertrain, Composites, Electrical, and Business. The Chassis group focuses on frame design and suspension, while powertrain focuses on the powerplant and supporting systems. The composites group is concerned with car aerodynamics and structural/non-structural design using carbon fiber. The Electrical group is responsible for design and wire of an extremely complex turbocharged fuel injection and data acquisition system. They are also responsible for writing engine control strategy and designing a F1 style steering wheel, fully equipped with paddle shifting and electronic brake bias adjustment. 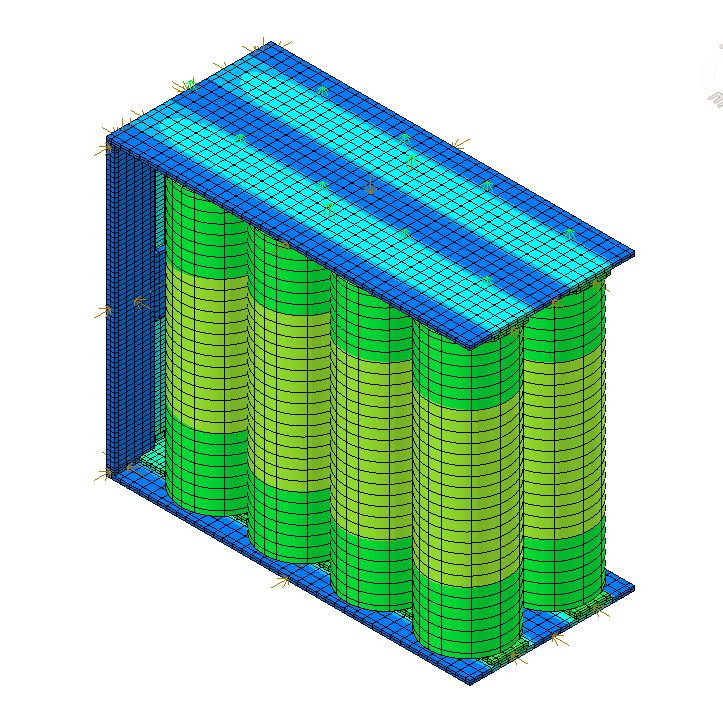 Using software provided through CRTech's University Investment Program, the Electrical group is using Thermal Desktop, RadCAD, and SINDA/FLUINT to analyze the power storage system for their vehicle. Future plans include modeling of the braking system and electric motors. CRTech is proud to be sponsoring these students and we hope they do well in the 2017 Formula SAE® competition. Copyright ableMAX Inc. All rights reserved.